Garbage trucks are one of the most fascinating vehicles for young children who just love watching them use their huge lifting arms to make light work of emptying wheelie bins. 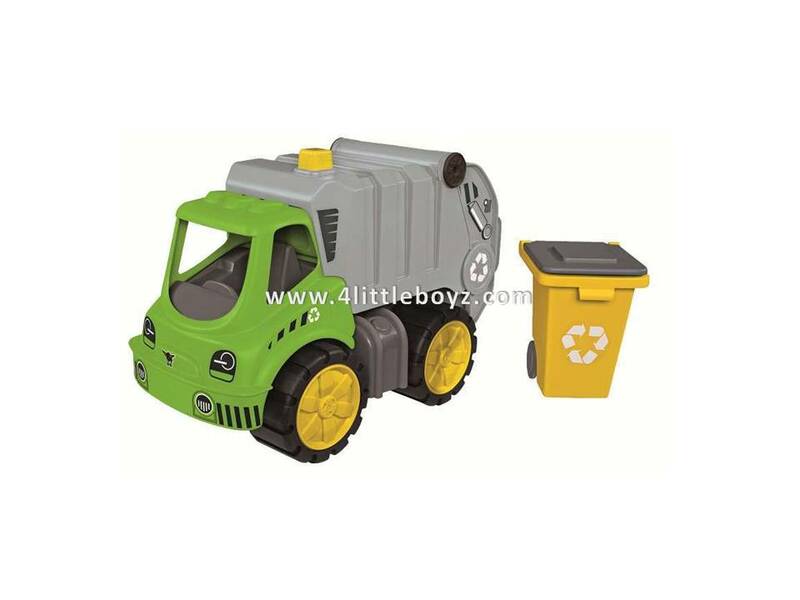 The BIG POWER WORKER GARBAGE TRUCK is perfect for enabling children aged two and over to recreate their experiences. The detailed vehicle with the fully manoeuvrable loader has a realistic loading function. The contents of the dustbins can be emptied into the inside of the container during play, and when it's full it can simply be tipped out. The BIG POWER WORKER GARBAGE TRUCK has been ergonomically designed to be just right for little hands. The vehicle comes with a special extra in the form of durable tyres made from a soft material, a standard feature of all BIG POWER WORKERS. This makes the garbage truck suitable for indoor play as well as outside.